XP is a performance-enhancement organization dedicated to teaching the components of successful training and fitness habits to people of all ages. Our goal is to educate our clients and make them the most physically fit they can be. XP believes in group training, not group programming. Group training fosters teamwork, camaraderie, friendships, and a support system so that everyone succeeds. Athletes of every age can gain an advantage by learning how to make their bodies work. Through balance, agility, and speed drills, young athletes can begin a lifetime of healthy habits all while having fun. training times are individualized to fit the busy and hectic schedule that families have today. Pat has over 15 years experience preparing athletes for elite competition in all sports at the professional, collegiate, and youth levels. With experience working with multiple professional athletes and top collegiate lacrosse, hockey, football, soccer, and baseball players, Pat has honed his ability to develop the entire athlete. 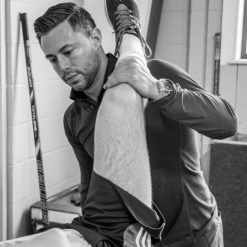 Pat spent many years as the Strength & Conditioning Coach at Tufts University and has extensive knowledge in injury prevention and rehab techniques. Please contact with questions about XP Athletic Performance at AP Sports.